Look, Ma! I'm in a Commercial! Yes, that's a rare, real husband-wife tandem! 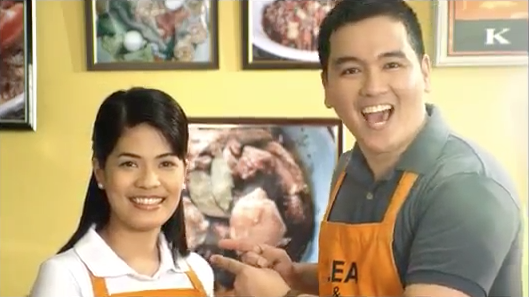 Who would ever thought that I’ll end up in my own television commercial? No one! I tagged along with my wife and kid for a VTR audition for a “condiment” client on January 6. I ended up in the VTR with my wife because we both cook. We’re not chefs (not yet! (=D) but we both love to put together things that will come up as our original. ← Hey, Mister That's not a Donut!